480-456-8888 | What To Do When You Have WEEDS? In Every Climate, Weeds Can Be A Year-Round Problem And Can Easily Overtake Lawns. Weeds Are Known To Take Vital Nutrients Away From Lawns And Also Create An Unsightly Appearance. Weed Management Is Essential As The Appearance Of Germinated Weed Growth On Any Commercial Property Leads To A Lack In Good Maintenance Appeal And Can Deter Potential Customers. Curb Appeal Can Be Vital To A Business’ Success. There Are Strategies For Prevention Of Weeds, But It Is Also Important To Have A Strategy In Place For Weed Removal. CAM Soluitons Uses A Post-Emergent Weed Management Herbicide To Kill Off The Germinated Weed Growth. Herbicides For Weed Management Must Be Used Carefully To Avoid Injuring Lawn And Plants While Keeping Weeds From Getting Out Of Control Which Can Happen Almost Overnight. Here At CAM Solutions, We Use Our Licensed Applicators To Apply Herbicides To Your Commercial Property. Our Weed Management Teams Are Trained To Standards, Codes, And Guidelines Providing Customers With A Safe Environment While Maintaining That Fresh Appeal For Your Property. Our Licensed Applicators Undergo Regular Training On Spray Techniques As Well As Herbicide Products For Weed Management. We Always Employ All Necessary Safety Practices To Ensure The Safety Of All Area Residents. Our Weed Management And Removal Experts Know How To Avoid Mistakes That Can Be Made In Applying Herbicides. 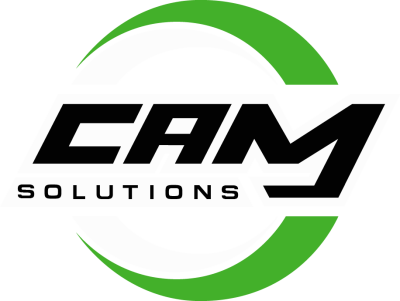 Your Best Defense Against Weeds Is CAM Solutions, Your Commercial Property Maintenance Professional, For All Of Your Weed Management And Elimination Needs. Our Company Is Fully Licensed For Weed Control.